There was a time when having a great product or service was all it took to have a successful business. Fast-forward to today, where the market is so saturated with competing products that businesses have to create trusting relationships with their audience before they can hope to gain their business. As a result, sales teams and marketers have been tasked with generating and nurturing leads for decades -- and their methods have ranged from the superb to the downright terrible. Traditional methods, like cold calling, word of mouth, and interruptive advertisements are often unpredictable, cost-prohibitive, and annoy the potential customers they should instead be winning over. While these tactics are lacking in benefits for both company and customer, businesses are left in a bit of a pickle. They still need to generate leads, but they have to identify a way to do it effectively. 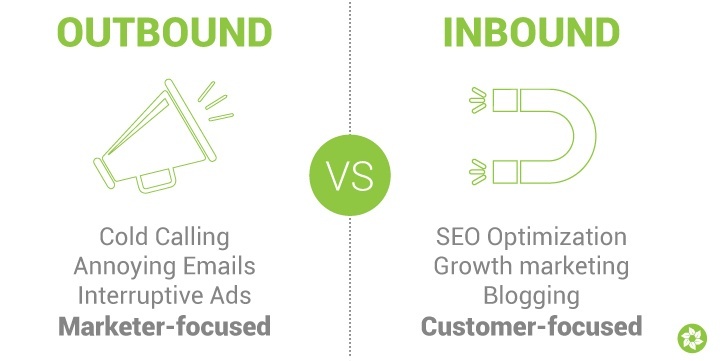 Taking a cue from changing customer buying habits, successful businesses are turning to inbound marketing to generate leads, and they're finding these inbound sales lead generation efforts are not only more cost-effective, predictable, and welcome, but generate better qualified prospects as well. In HubSpot's 2016 State of Inbound report, 59% of marketers identified inbound practices as providing the highest quality leads when compared to outbound practices (17%) and self-sourced leads from their sales team (24%). Below, we will discuss the inbound marketing strategies your team can apply to generate qualified inbound sales leads, predictably and with a lower acquisition cost than through outdated traditional prospecting methods. While outbound sales rely on interruptions, inbound marketing focuses on creating buyer-friendly content that your ideal audience will not only welcome, but seek out. By establishing your brand as an industry expert and a resource in the field, potential clients and customers will look to you and your resources when conducting research and making purchase decisions. It takes the right combination of organic website traffic, strategic business blogging, white papers, savvy social media posts, well placed calls-to-action, optimized landing pages and marketing automation to generate and nurture inbound sales leads. By using these tools in your inbound marketing process, you can successfully attract potential customers to your brand, establish a connection with them, nurture them into sales-ready leads, and provide your sales team with valuable interaction data surrounding each individual's buyer's journey so that they can personalize their sales process. 1. Content Strategy: A well-researched, key-word optimized content strategy is the core of any inbound marketing gameplan. Develop this strategy by considering the buyer's journey from the perspective of your buyer personas -- this will help you identify which concerns and questions need to be addressed during their buyer's journey, so that you can craft content around it. It is also the foundation of determining which keyphrases your customers are searching for. But don't fall for the common, hyper-SEO-focused trap of developing content around keywords alone. The blog titles, whitepaper topics, and webinars you map out need to appeal to humans just as much as they need to appeal to search engines. You'll know you've developed a strong content strategy when your content keeps both in mind. 2. Blog: B2B marketers that use blogs receive 67% more leads than those that do not. 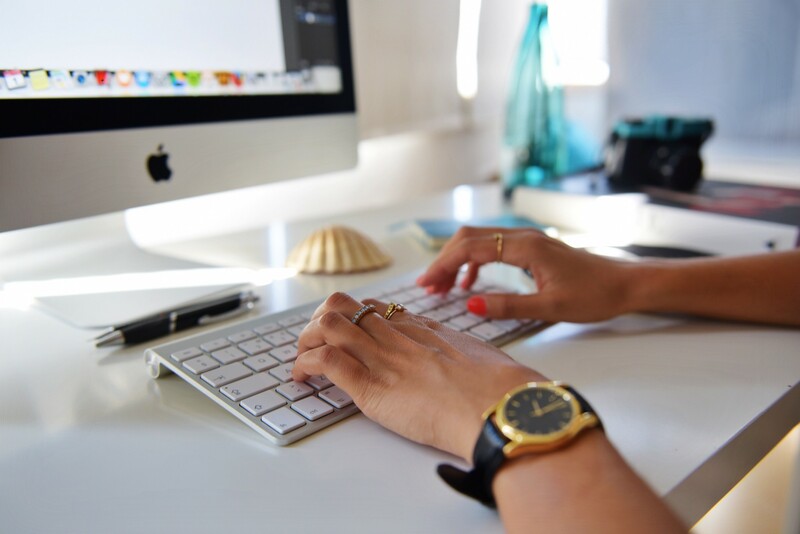 Blog posts serve to educate your audience and answer their questions about your industry, and product or service throughout every stage of the buyer's journey and sales process. In addition to helping you generate leads, maintaining a consistent blog publishing schedule drives traffic to your website and helps your brand establish authority. By publishing ever-green content, even long-ago published blog posts can continue to drive considerable amounts of traffic (and leads!) to your website. These effects are even more pronounced when businesses promote their content on social media and publishing platforms, such as LinkedIn. The copy is to the point, and the button makes it clear to visitors what they need to do next. The topic "B2B lead generation" also closely matches the topic of our blog post "How to Generate Inbound Sales Leads." The more CTAs you make, the more specific and personalized you can get (and the more leads you will generate). Because of this, it's beneficial to have multiple CTAs. CTAs can serve multiple functions, even beyond lead generation. Here's a list of the different types you should include on your website, blog and emails. 4. Landing Pages: If you clicked through on the CTA graphic above, you'll notice that it directed you to a landing page. The landing page is the bridge that converts traffic into leads, and where the exchange of information takes place.It’s important that leads know exactly what to do once they arrive on a landing page so the exchange of contact information for offer can take place smoothly. Your landing page should quickly and clearly communicate your offer and its value, and should be directly related to your CTA so that you won't lose your visitors here. In other words, don't click-bait your visitors with your CTA. The goal isn't just to get them to your landing page, but to get them there and convert them. 5. Forms: Forms facilitate the exchange of contact information and value-based offer. Keep your form short by requesting only the necessary information. If your offer is an e-book, you may only want to request their name and email address, as they're not yet qualified for a phone call with your sales team. On the other hand, if you're offering a free demo of your product, requesting a phone number as well as a response as to which features of your product they want to learn more about may be necessary. Once your lead fills out the form, your offer should be fulfilled immediately, which brings us to #6. 6. Email Marketing Automation: Once your lead has filled out a form on your website, and you've received their contact information -- follow up on it! Email marketing automation allows you to deliver personalized, lead nurturing emails based on the content your individual leads are interested in. You should use these emails to send them additional offers and even additional blog posts that address your lead's needs and points of hesitancy. The goal of email marketing automation is to keep your prospect moving through the sales funnel. If they've already downloaded an ebook from you, send them additional resources related to the topic, then nudge them to sign up for a free demo of your product. This will help you qualified leads. Those who consistently interact with your emails, come back to visit your website, or sign up for additional offers are all good leads for your sales team to follow-up with. Best of all, your sales team will have a reason to reach out that won't come off to your prospects as being unwanted. 7. Tracking: As you put these plans into action, track their performance so you can replicate the results. Which source, blog, or content offer brings in the most leads? Which brings in the most qualified leads? Which actions do leads take before becoming a customer? Once you track this data, you can leverage it to generate even more leads and improve your marketing ROI. The most important factor is to be strategic when focusing on growing your inbound sales leads. While the results may not be immediate, you're building a digital sales funnel that will serve your business in the long-term as a consistent and predictable generator of qualified leads. For more ideas on how to growth-hack your lead generation efforts, check out this blog post on how to Land More B2B Leads with this Step-by-Step Campaign Strategy. 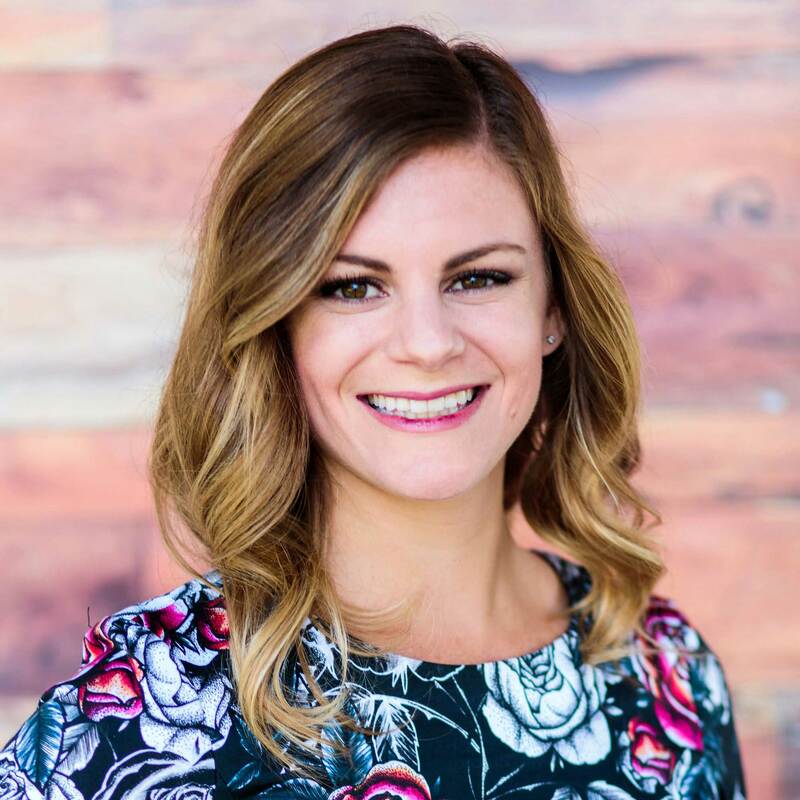 During her past 6 years working at GreenHouse, Erin has gotten digital marketing down to a science. She manages our inbound marketing team on a daily basis, working closely with our clients to ensure we hit our monthly goals consistently.